British doctors have taken a huge step towards curing a common form of age-related chronic eye condition. Two elderly patients with macular degeneration at Moorfields Eye Hospital in London were given a cutting-edge stem cell therapy as part of a small trial to improve vision for people with sudden and severe loss of vision caused by what’s known as “wet” macular degeneration, in which abnormal blood vessels grow under the retina and macula in the eye. 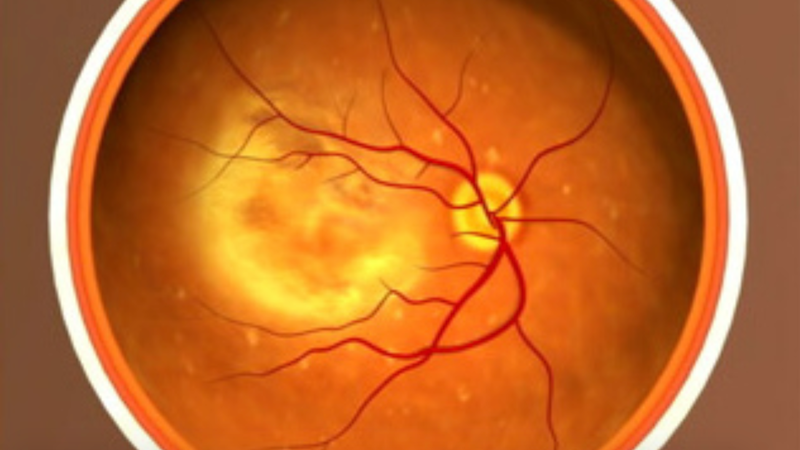 “Wet” macular degeneration is less common than “dry” macular degeneration, but it is a more severe form of the disease that occurs as “dry” macular degeneration progresses. It rarely causes total blindness, but it can cause blurriness and blind spots that make it hard to see clearly. The idea was to replace those diseased eye cells using stem cells that were derived from a human embryo and then inserted into the back of the eye. Embryonic stem cells are special because they have the ability to become any other cell type in the human body. In this case, they were coaxed into becoming the kind of cell that makes up the retinal pigment epithelium. They were embedded into a scaffold to hold them in place, a living patch of cells only one layer thick. That patch was then surgically inserted under the rods and cones in the back of the eye. The technique and results of the study were published online in the journal Nature Biotechnology this week. On the hospital website, the researchers reported that the two patients in the study went from not being able to read even with glasses, to reading 60 to 80 words per minute with normal reading glasses. Each patient had only one eye operated on. The improved vision has held steady for a year. So far, the treatment appears to be safe and effective, but the researchers note that the work is still in very early stages and further trials are needed. It’s also not quite a cure—the patients in the trial could read again, but their vision was still not fully restored. The results, though, are an exciting development in stem cell therapy that suggest a future in which, just maybe, the business of aging will be a little less painful.